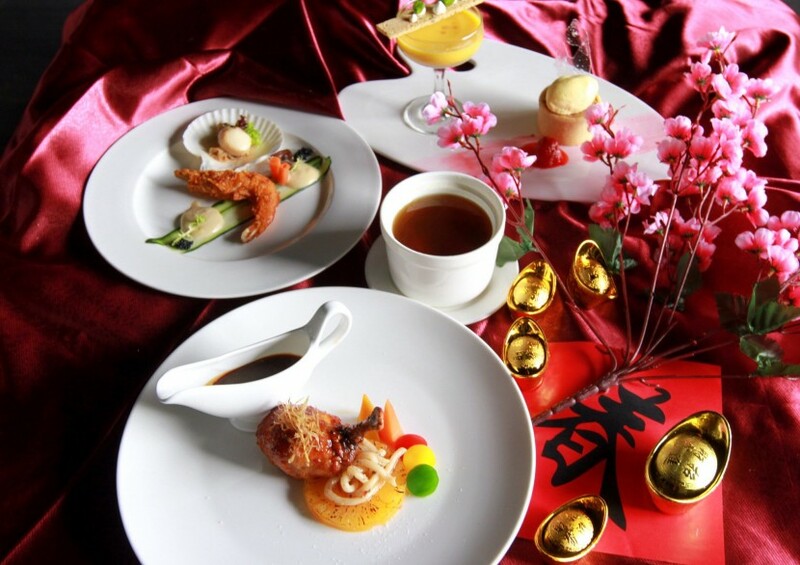 AS the year of the Monkey approaches, SKY360° at One City offers its patrons a dining experience that blends a fusion of the best of Chinese ingredients and European cooking styles. Diners will be in for a splendid surprise as they feast their way through a delectable four-course sit-down menu that looks nothing like the traditional dishes served up during the season, but uses the same ingredients to elicit the same delectable flavours. 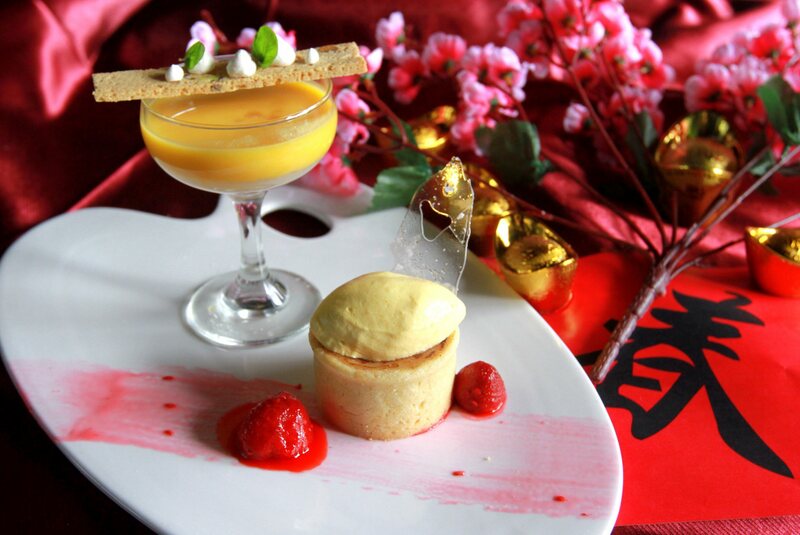 “We’ve added a little twist to our Chinese New Year menu this year. Instead of the standard course-by-course menu typical of a Chinese dinner, we are offering a Western-style set menu, with each dish being a fusion of Chinese and Western ingredients and cooking styles, showcasing the creativity of our young chefs,” says eCity Hotel general manager H.T. Khor. The full dinner menu set, with the option of choosing between steamed cod fish and stuffed chicken roulade (bottom). As always, the dinner menu starts with a delectable appetiser, Pan Seared Scallop served along with a lightly battered curry-flavoured prawn with a little Garlic Almond Puree on the side. This flavourful starter is then followed by a wholesome and herbal-tasting Double-Boiled Chicken Soup which is packed with different varieties of mushroom. As for the main dish, guests can pick their dish from a choice of a chicken entrée or a fish entrée. The Char Siew Chicken Roulade takes the flavours from the Eastern char siew preparation, and pairs it with the typical roulade flavours of creamy spinach and Ricotta cheese combination which is stuffed into the chicken. Although the flavours may hail from opposite ends of the world, the fusion goes together beautifully. The dish is accompanied by spiced udon noodles, a selection of vegetables and a grilled slice of pineapple. 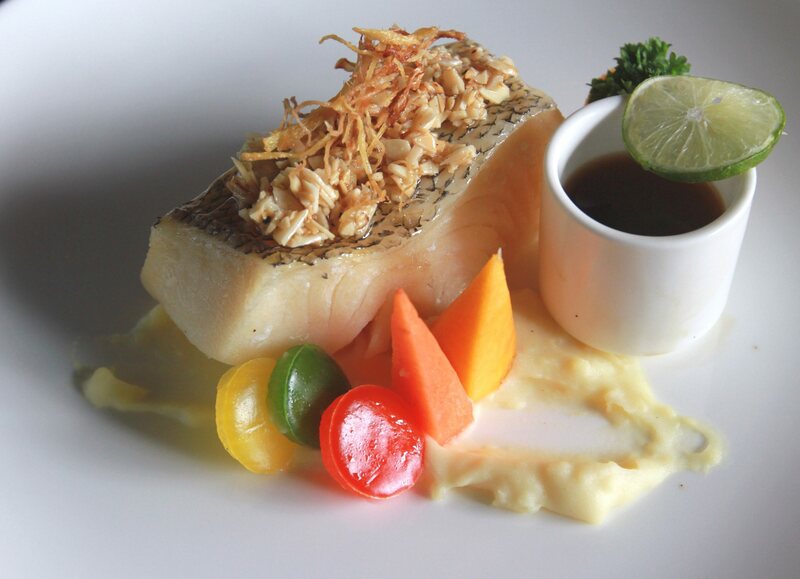 If you select the Steamed Cod with Almond, expect a delicately steamed fresh piece of cod, topped with toasted almond and crispy ginger strips, and seasoned with light soya sauce and lime. A more typically Chinese dish, the cod was served on a bed of mash with a selection of vegetables and a piece of infused apple which adds a subtle tanginess to the whole ensemble of flavours. Like all good meals, the fourth course of this scrumptious line up comes to an end with an exquisite dessert that speaks for the chef’s creativity in the menu. The Chilled Sweet Pumpkin is a modern twist on a typical Malaysian sago combination, but with a surprising addition of molecular caviar (little spheres of flavoured liquid). The pumpkin was pureed and flavoured to perfection, tasting nothing like what it would on the usual occasion. This, along with the Cinnamon Crème Brûlée tart with light orange mousse ensures a rich and satisfying end to the delicious fusion dinner menu. Chilled Sweet Pumpkin with Cinnamon Crème Brûlée. There is also the option of indulging in Salmon and Jelly Fish Yee Sang to start off the meal. 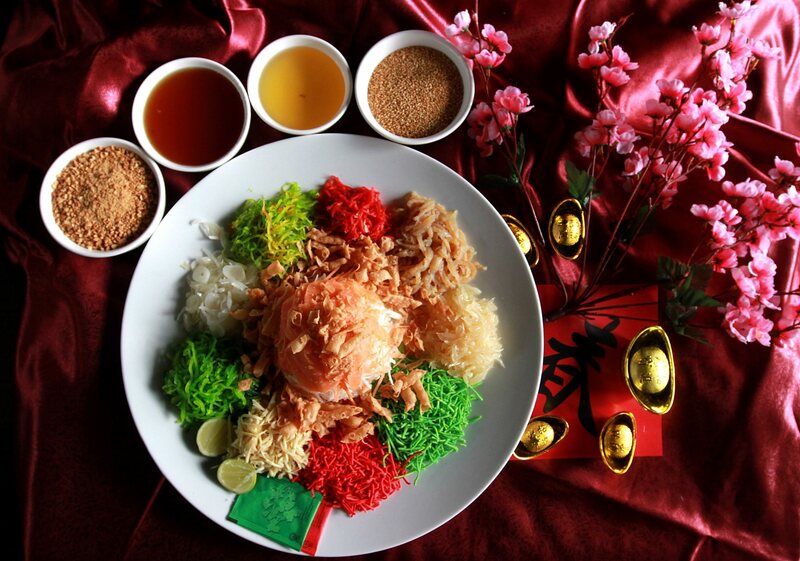 The Chinese New Year Fusion set menu is available for dinner from Jan 27 till Feb 22, 7pm to 10pm and is priced at RM68nett per person, and an additional RM88nett for a large plate of Yee Sang. For more information and to make reservations, please call 03-5115 9887 or email at sky360@miceatonecity.com.